Post here guys and your first impression! WT44, Neville A Daniels and uaegangster111 like this. Hope the day I post my review is not far. 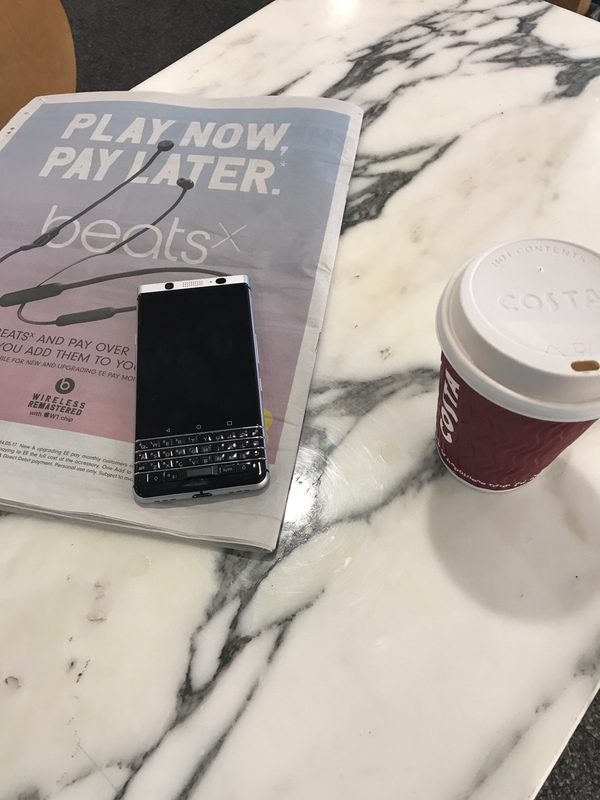 Depth review by #Crackberries good news. steffcip and pooyam like this. On the bus on the way back to work. Going to prolong the excitement for as long as possible before I rip the packaging off this thing! Uzi, jamesharmeling, Mikey_NNG and 13 others like this. Can you post pictures of each side of the box? Some interesting details to read maybe? anon(3641385) and hoytbowhunter like this. Tell us the os version too! anon(3641385), WT44, CrackBerry Kevin and 2 others like this. fromdus2k and chockster like this. I don't know if that "OS: Latest Android" is intended or someone ****ed up really hard when they printed the box. Bennett Ragan, anon(3641385), Uzi and 6 others like this. WT44, chang69, bluesqueen23 and 5 others like this. asublimeday and chockster like this. if you can comment regarding keyboard feedback, responsiveness, and how it compares to you to other kb that you have used in the past would be nice... thanks and congrats! How do u feel while holding the phone? Like priv/q10/classic/passport etc. Can someone confirm this is the BBB100-2 model? asublimeday and Neville A Daniels like this. been told i was the 600 one bought the devices at their shop today. Ulferini Schusterotti, chockster and bb624 like this. Yes, it's the BBB100-2 model. Is it just me or is this beginning of selling this phone very silent to the public? Is it a secret phone in reality? Or is it not meant to be bought by people who are looking for a new phone? Thanks for sharing! Can't wait for US launch.